I discovered HostUS for the first time after I joined freevps.us in February 2016 and have had this cheap category HostUS VPS from February 2016 until today. I'm currently on a year rental until August 2019. What I like about Hostus is its excellent support, fast speed, low prices, HostUS.us knows how to create great VPSs that are cost effective and affordable. They don't have fancy marketing schemes - what you see is what you get. Cost of the VPS is US$ 7.95 for three months or 2.60 US$ per month. If one takes a year subscription it will be even less. I've had this particular VPS since January 2018 after the previous identical VPS had a meltdown. I had the previous identical VPS from February 2016 to end of 2017. I'm currently on a year renewal until August 2019 and intend to keep this VPS as long as it lasts. HostUS has a great track record of stability, with a bunch of Admin like Alexander and Leo who have been consistently around since the beginning of time. The quality of VPSs from hostus.us since February 2016 when I first got to learn about them has been consistently great. If you check the hostus.us link you'll notice it has a long list of locations in the US, Europe and Far East - you can try them out for speed. 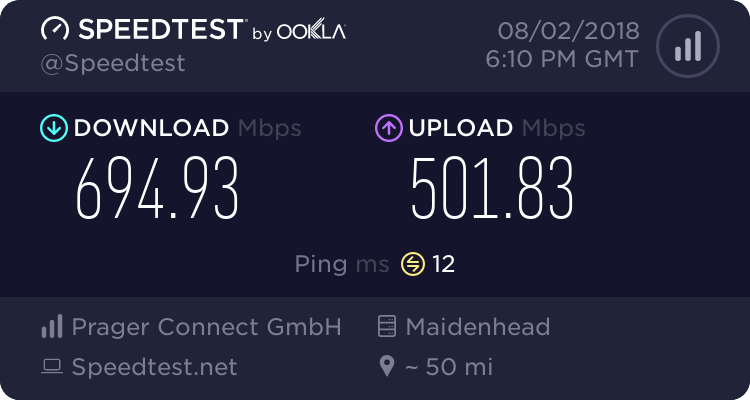 My ISP performs best with the London Location, and I was very lucky to get the location. I've had this location since January 2018. Before January 2018 I've also had a free VPS from Host.us at freevps.us. VPS 16. One of the best performing VPSs in their stable - although without a control panel. Never gave problems however, so didn't need a control panel. As far as I could learn from their excellent Website, HostUS was founded in 2012 as a Limited Liability Company operating out of Delaware, United States. It offers a diverse selection of web hosting services ranging from low cost Shared cPanel hosting to OpenVZ VPSes to large dedicated servers. HostUS works towards affordable rates all of the time - with very little wastage. Its focus is on what it does best, which are Linux servers - as far as I know Hostus doesn't provide Windows VPSs. It has ten global locations with emphasis on the US. 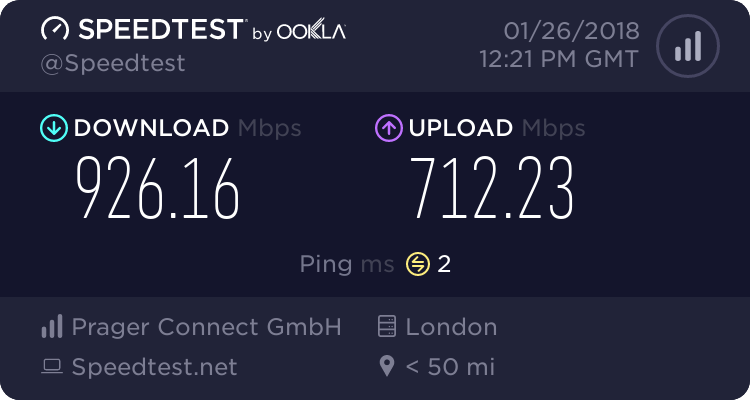 My location is London, UK, perhaps the fastest location I've had yet by Europe standards. Here is a link to its VPS Plan Selector which is hooked to all of the locations together with mirror IPs so that you can see the cost of the VPS immediately and test the speed from your ISP to the test IP - everything is set up to be simple, what you see is absolutely what you get. No smart catch you if we can type marketing strategies. All of the HostUS servers come with its in-house developed Breeze Panel. It's one of the better panels I've experienced, definitely a few steps up Virtualizor - although probably shouldn't be compared as the panel is also part of the client management system that includes the billing and invoices. I've seen the Breeze Panel continously improved from February 2016 when I first started with HostUS to date. In the beginning the billing was a headache for me as I was living in the UAE with a dynamic IP shared with spammers, and HostUS had an agent who rejected me all of the time. But since 2017 payments have been effortless and they perfected their billing system. The support tickets are also done through the Breeze Panel and turn around in tickets is super fast, like definitely within 12 hours max, and more often within hours of submitting the ticket. I've been using my HostUS VPSs since 2016 for projects that are higher risk - experimenting - and as a backup VPS to my freevps.us and post4vps.com VPSs. I'm a little more conservative and perhaps even over careful about the use of my free VPSs from freevps and post4vps as would hate to be responsible for anything going wrong with them. Furthermore I currently don't have a control panel with my VPS 9, so would hate to bother the Admin for reloading the OS. With my HostUs VPS I'm more adventurous and have gone through a few times already of reloading my VPS. With the Breeze Panel of HostUS it's also very effortless - takes less than two minutes for the new OS to be loaded. In addition to the HostUS Breeze Panel that also gives me all the info I need regarding my use of resources, I have installed VestaCP on my VPS to manage the DNS of my Websites and WordPress sites. I have a paid Softaculous loaded with my VestaCP and am able to set up WordPress under 2 minutes. One of my projects is to find how I can load VestaCP and my WordPress sites in the shortest amount of time including backups. Also how to manage the content of a VPS as portable as I can - i.e. with VPS I've learned that they can go up in smoke in record time. To be honest, I don't know how one could improve on this low cost VPS. Like the speed is faster than my high spec VPS 9. 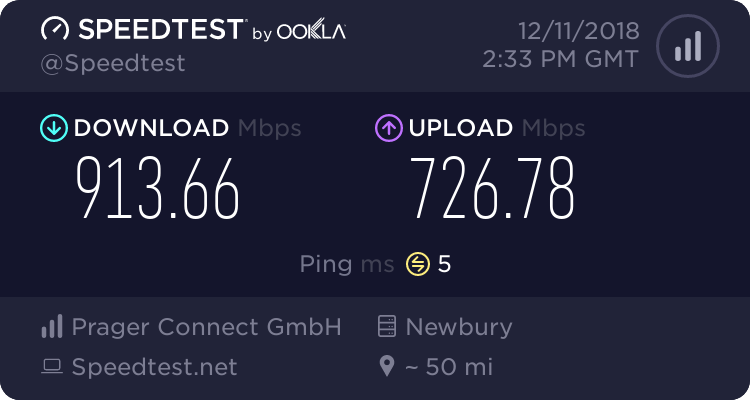 Performance wise there was that double disk failure of January 2018 when my VPS went up in smoke, but the Admin of Hostus.us went to a lot of trouble to make me happy - including changing my US location to England, UK resulting in one of the fastest speeds I've had yet. Even by European standards. I guess all I can wish for is for HostUS to continue to thrive and to be around for more years to come. I'm more than happy with my Hostus VPS. For the low price that doesn't seem to make any difference to their very high standards - like it's the same high quality product, just with less specs. I want to extend a special note of appreciation to the Admin of hostus.us for their super support and hope that this will continue to last as it has already lasted since 2012. A special thank you too to all of the helping hands at post4vps that make my experience at the Forum and with this VPS so positive. It's been great fun and am listening and learning every day! i never pass an opportunity to let people know what is special about them. in your case, your awe inspiring capability to write. They are so lucid, information rich and easy to understand. by the way, that disk io stat is not that impressive ! 1mbps ?! i mean how saturated is the node ? Dont you feel the bottleneck? the first big stat is due to cache. IMPORTANT. i dont know what you do to earn a living. But im pretty sure you could pull good sums doing writing gigs online. With the volume you write , the variety of topics, the extent of research and follow through, you would totally be a top class content writer. (12-11-2018, 04:28 PM)rudra Wrote: i never pass an opportunity to let people know what is special about them. in your case, your awe inspiring capability to write. They are so lucid, information rich and easy to understand. Thanks @rudra. I had fun writing it because I really like hostus.us. Also I'm quite motivated by you and @Hidden Refuge. I remember when I did the first review ever (as a completely non-tech person) of VPS 27 (Galaxyhost) in 2016, how nervous I'd been and maybe still am today - like invisibly challenged. You are not alone. I have the same concern too. Sometimes I would rather test my applications in another VPS and if it goes smooth, I would transfer it to my VPS 9. By the way, I have also heard quite some good reviews from Freevps about Hostus, although I have not tried their services on my own. I will possibly give it a try if my next project is not going to need KVM and a fast disk. (12-29-2018, 01:24 PM)tryp4vps Wrote: I will possibly give it a try if my next project is not going to need KVM and a fast disk. I'm sure you won't regret it. Particularly because of it's great variety of locations to choose from. I'm tempted too to try out Contabo.com. Just so I can do a review of it too. I'm thinking about it. If I take it for a year, the price is just a little less than renewing two of my domains. Also, I use Paypal, and have one of those prepaid debit cards that I still have from the UAE and it may expire soon. May do this next week. Will be great fun to try it out. HostUS VPS plan offerings is better though, as it gives you the option of three months at just around 2 US$ a month without any setup fees. HostUS wins for me with that special cheap plan of theirs.